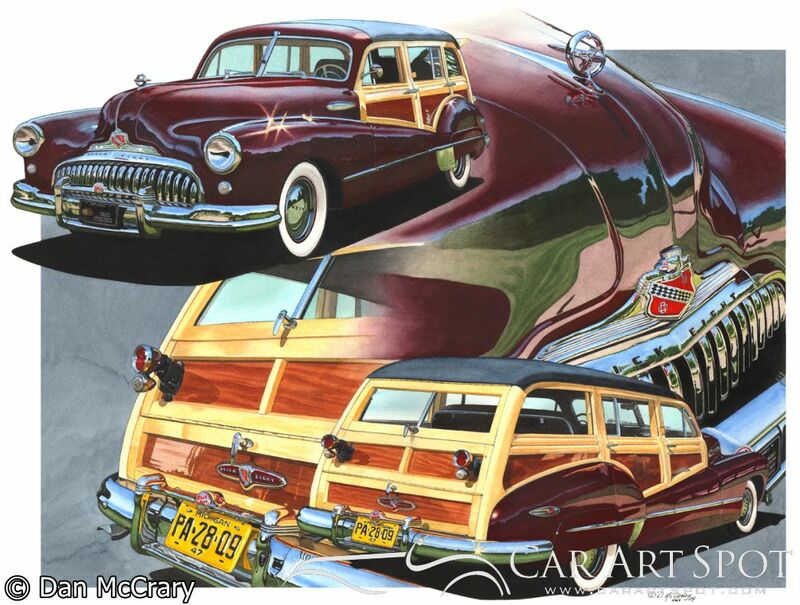 Home›Car Art›Artists and media›Artist Interviews›Dan McCrary - Musician turned Automotive Artist! 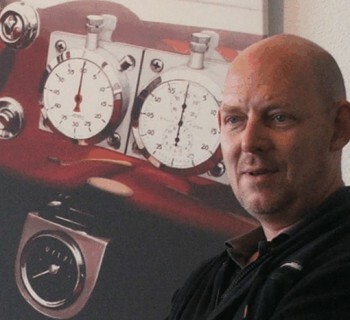 From Musician to Automotive Art. 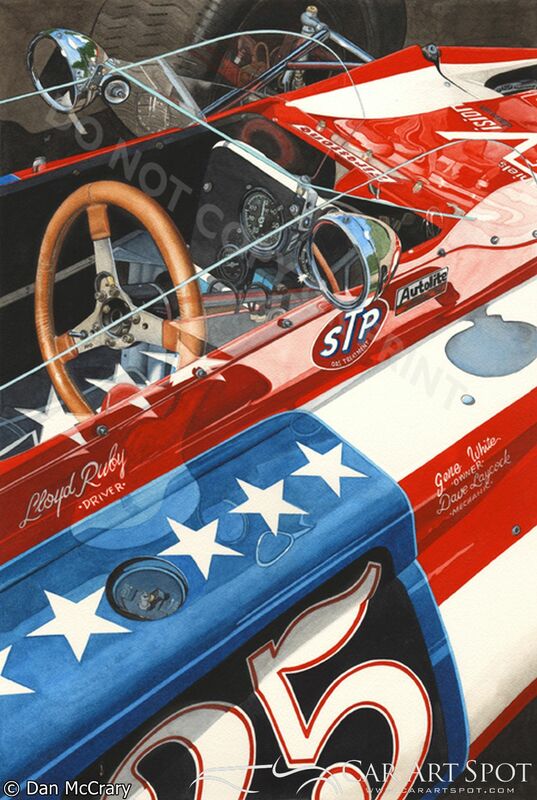 Why Dan McCrary turned from music to Automotive Art and feels like a kid in a candy store. Most of the automotive artists I know I’ve met at car show. A lot of times it’s the Concord events where there is a group of artists – I’ve seen as many as twenty – all there together. It’s nice to see what other artists are doing and to get to know them. 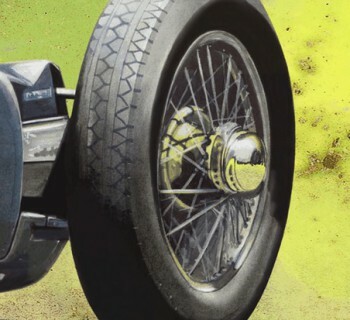 We talk about cars, of course, and we do trade ideas and techniques, even discuss how we do certain things and the subjects we like to portray in our work. We talk shop a lot, you might say. I’ve seen hardly any rivalry. I think in any group of people that involves more than four or five people you may see competition here and there. But with this group it’s almost non-existent. It seems to be a very nice community – friendly and open. We all enjoy one another’s work and share similar passions. I understand that you started painting and drawing from a very young age. Oh yes. As far back as I can remember, maybe age four? 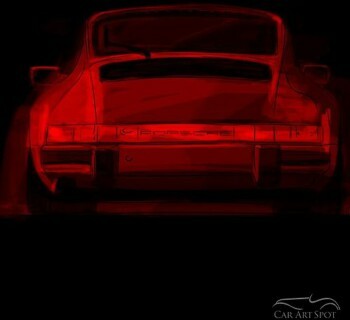 At that age everything I drew was a car. I wish I still had some of those drawings just for laughs. They’re probably pretty crude. And of course in crayon. If I know I was going to be doing this for a living I might have asked my mother to save them for me! When did you decide you wanted to do this for work? Well, I was working in a music store. Previously, I made a living as a musician. I played guitar just like everyone else in the 60’s. Something about life on the road really burned me out so I decided to settle down and stay in one place for a while. So I got a job at the music store. Since I had weekends free I was able to participate in more automotive events. I was active in the SCCA and started running autocross. As I met other car people and they saw my drawings, one thing sort of led to another. I began doing portraits of people’s cars for them and when I saw enough business to be had along those lines I was able to quit the music store and do this full time. I’ve always drawn cars so it was a pleasure to have more time to do it while I was working at the store. One thing really led to another for me. I can imagine making that change might have been challenging – going from working in a busy store to a solitary job. How was that? You know, I was never really gifted in terms of sales or retail. I liked what I was selling; I just didn’t like the act of selling. So being away in a little studio by myself suits me just fine. After you left the store and started painting, did you already have an established style? Probably not. I think that’s something that’s evolved over time for me. 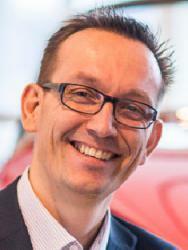 When I first started I was just doing straight ahead car portraits – no setting or background, just the car. Over time, as I went to more and more car shows and took more and more photos, I started to realize the important of composition and setting. My style of painting has really just developed. It’s not a conscious strategy so much as an evolution as I learned more. Trial and error learning process and working out new techniques still continues to develop over time for me. I’m about 99% self-taught. I did major in art at East Carolina University for a short period of time when I got out of the army. I was playing in bands but I had to declare a major and there was no music program. I just decided to major in art. It didn’t last long because I dropped out again to go play music full time! What made you decide to choose watercolour? Well, I’d gotten used to working with a liquid medium with ink. But someone then told me that those drawings would really start to fade over time. So the closest thing to that was watercolour. It was another natural profession for me from the coloured inks. That, and I just like the look of watercolours. To me, the luminescence of white paper and a transparent medium with watercolours is something special. 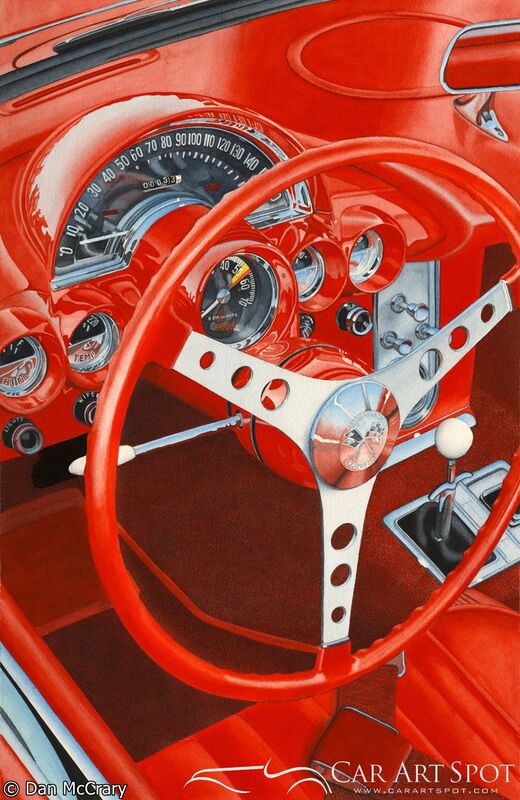 Where do you find inspiration for upcoming automotive art works? Well, I’m always at car shows taking photos. Sometimes I’ll take day trips somewhere like a junkyard. Often ideas come to me while I’m taking composition photos, looking at different angles of a car. Then I compile and compare the photos. I’ve taken so many photos over the years and my only frustration in doing this is that I won’t live long enough to execute all these ideas that I get. Since I finally got a digital camera, I only print the ones that I like. I keep them all in a stack by my desk and every once in a while, when I need a break from painting, I’ll take them out and go through them. That’s how I end up with two-dozen pieces started – I’m a kid in a candy store. I just want to paint them all. I start with a pencil drawing and gradually get things laid out on paper. That’s a slow process. It’s just a light rendering so as not to interfere with the watercolour. I know that there are rules with watercolour but quite often I don’t follow them at all. I just like to see something begin to take form – often starting with the darker colours. One of the great definitive things about watercolour is that the white comes from the white of the paper. You can’t lighten things up afterwards. 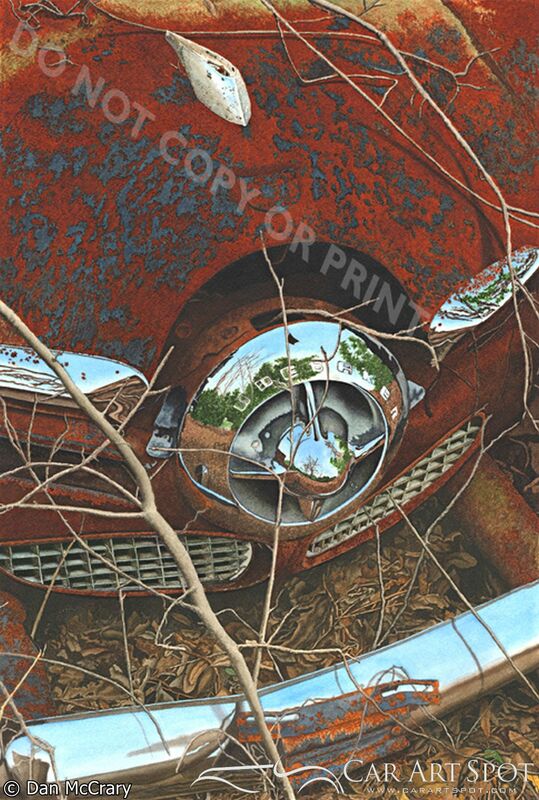 Dan’s car art is available on his website as well as his Facebook page. He is happy to accept commission automotive art work as well. Be patient because nothing happens overnight!